Hubby's summer holidays are almost over... back to work on Wednesday. 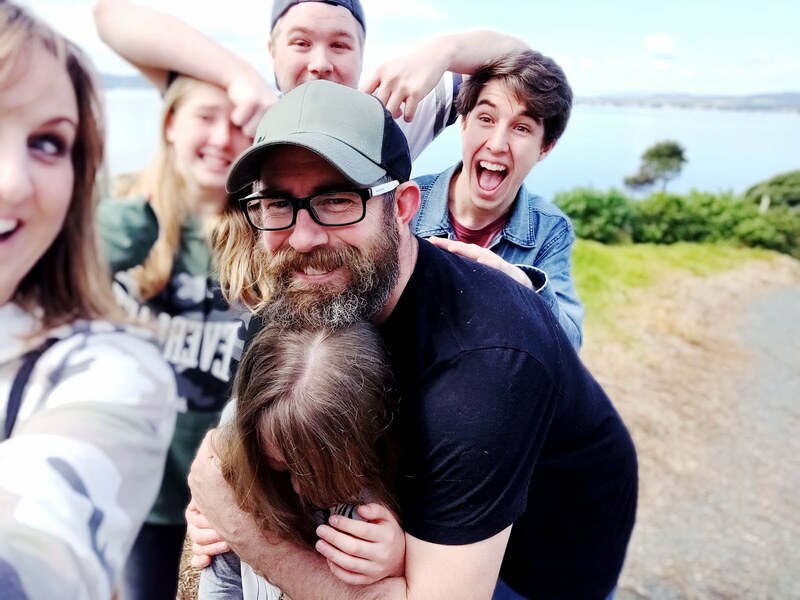 We didn't go away as a family for a holiday this year, but had heaps of fun with our regular 'beach/park crawls'. I think we have just about worked out the location of every park hidden about our region. 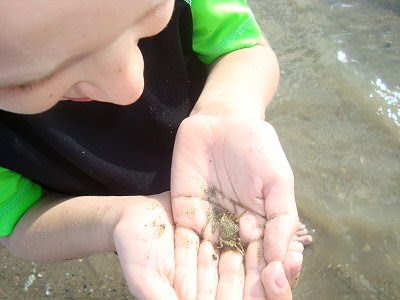 During our beach trips, I have been amazed at the passion the children have shown for tiny sea creatures. 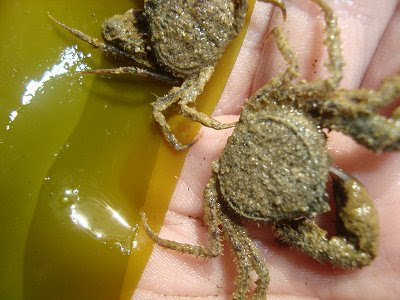 A lot of begging has been heard regarding taking little crabs and sea snails home as pets. Lots of learning has gone on during the fun! Definately seeing their wonder at God's little creations has been one of my highights. 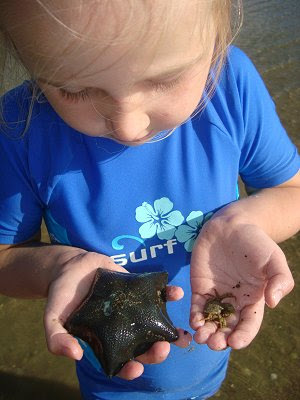 What have been some of the highlights of your holiday? Fun! 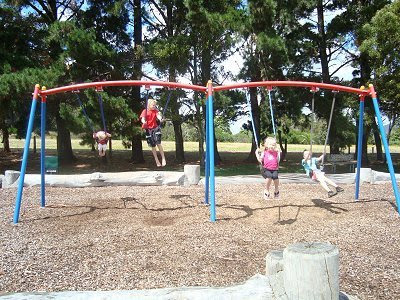 and the perfect set of swings for a family of 4 kids! My summer highlights would have to be Levi learning to swim unaided and PJ learning to float with his arm bands.....leaving me to watch and swim without any attachments! 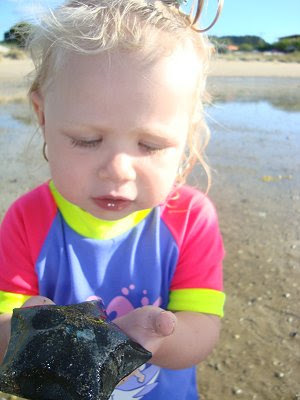 great pics speshly that one of miss 2 and the starfish :) hope u had a really restful holiday! 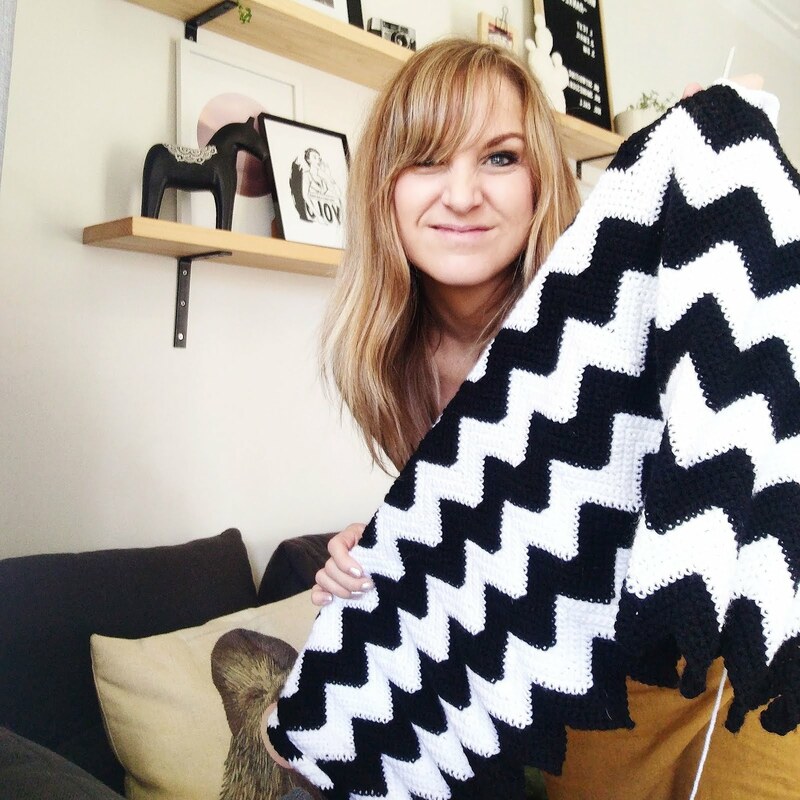 So cool.... we've been doing a lot of the same!